South Korea’s largest international airport by a long shot is Incheon International Airport, which sits outside the country’s capital of Seoul. While South Korea is marginally less expensive than most first world nations, even the most budget conscious travelers will find themselves spending at least $60 per day. Tourism in South Korea peaks during late summer (June through August), when temperatures are usually between 27 and 35˚C (80-95˚F). During the winter low season, expect temperatures well below freezing, often getting as low as -12˚C (10˚F) in some portions of the country. Wedding dolls and beauty products are commonly purchased souvenirs from South Korea. Despite its small size, South Korea exerts enormous influence over global politics and culture. The country is considered one of the most economically developed nations in Asia, featuring the continent’s highest per capita income and average wages. What’s more, South Korea is extremely well educated, boasting the highest percentage of college graduates of any country in the world. The combination of wealth and education have allowed South Korea to become a hotbed for technological innovation. In fact, as of 2015 no nation in the world commits more time and resources to scientific and technological research than South Korea. Not surprisingly, the country features the world’s fastest internet and cellular networks. While South Korea’s whole-hearted embracement of modern technology is something to marvel at, what’s often most stunning to travelers is the juxtaposition of new and old. The country is filled with historical sites, and even features its fair share of natural parks. Because South Korea can offer both historical wonders and the best of the today’s amenities, it has become an extremely popular country to travel in. 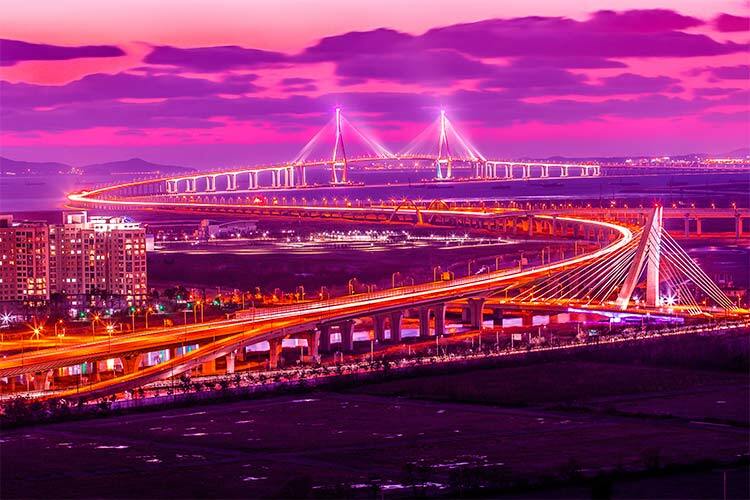 The Korean government actively encourages international tourism in their country, even implementing an extensive nationwide public transportation system. Early Korean history is marked by heavy Chinese presence, during a period known as Gojoseon. After several hundred years, Chinese forces had utterly wrecked Korea, which ultimately segregated into three distinct kingdoms. In 676 CE, Korea was united once again, this time as the Unified Kingdom of Silla. This period saw encouragement of the arts and sciences, as well as the spread of Buddhism. Silla would eventually be replaced by the kingdom of Goryeo, whom also emphasized scientific advancement. This period notably saw the invention of the first ever printing press. Unfortunately, Mongol invasions ultimately ended this period, allowing for the transition into the peaceful Joseon dynasty. Though the Joseon period would last more than 400 years, it saw Korea become heavily dependent on China. Korea also adopted Chinese isolationist policies, shielding itself from Western influence throughout the 1800s. In 1910, the Japanese successfully took control of Korea, which it held until the end of WWII. Following Japan’s surrender at the end of WWII, the country was split into North and South Korea. The north was occupied by Soviet forces, while the United States controlled South Korea. In 1950, North Korea invaded South Korea, a move which is widely considered the first real offence during the American-Soviet Cold War. This invasion sparked the Korean War. Three years later, the war was declared a stalemate (interestingly, South Korea never signed the 1953 armistice, and technically the two countries are still at war today). Since the 1960s, South Korea has experienced remarkable economic growth, allowing it to become to highly democratized and the wealthy country it remains today. Seoul, like much of South Korea, is characterized by the proximity of old and new. You’ll find internet cafes and cell phone stores sitting directly next to ancient palaces like Gyeongbok-gung or Changdeok-gung. One of the best areas for travelers in Seoul is Myeongdong. This commercial district features numerous shopping and dining outlets, as well as a starting place for excursions throughout the city. Hiking is very popular in Seoul, due largely to the presence of mountains like Mount Bukhan. The city also features a number of parks within its limits, including the famous Namsan Park. This park centers around an ecology island with wild animals, despite its location in the middle of the city. It’s well known for its numerous pine trees, which cover nearly every inch of the park. 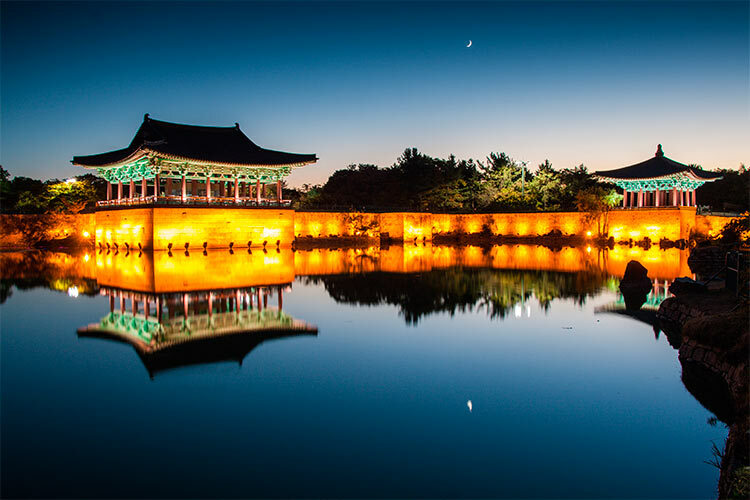 Gyeongju is a popular tourist destination for travelers interested in South Korean history. This coastal city was the capital of the powerful Silla dynasty nearly a thousand years ago, and hundreds of historic sites from this period are scattered throughout the city. For this reason, the entire city has been declared a UNESCO World Heritage site, and visitors are encouraged to simply wander Gyeongju’s streets. 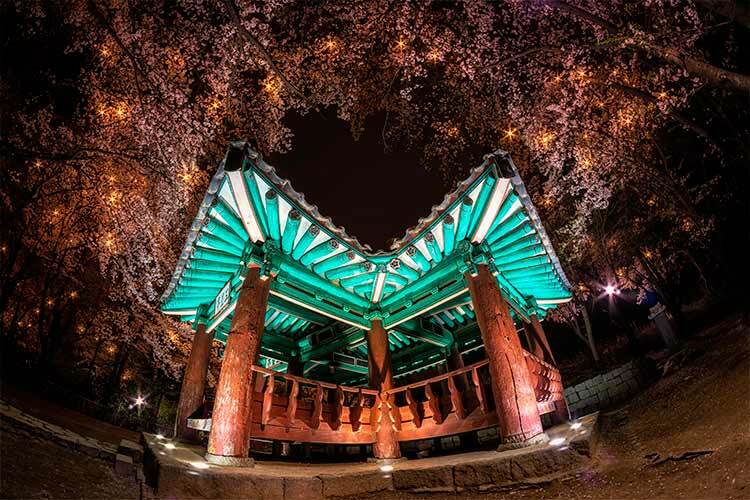 Seokguram Grotto is a popular destination and features numerous examples of Silla art and architecture. Gyeongju also features the Bulguska Temple, which is widely considered the most beautiful and ornate Korean Buddhist temple. South Korea’s largest island, Jeju Island, sits off the country’s southern coast. Due to its warm weather, beaches and numerous resorts, the island is affectionately referred to as the Hawaii of South Korea, though the climate and history of Jeju Island and Hawaii are considerably different. Jeju Island is perhaps best known for the Manjanggul Lava-tube, the world’s longest lava-tube. Another popular attraction is the perfectly rounded Seongsan Ilchubong peninsula, which was created by an underwater volcano. This picturesque site offers beautiful views of Jeju Island and the Pacific Ocean. 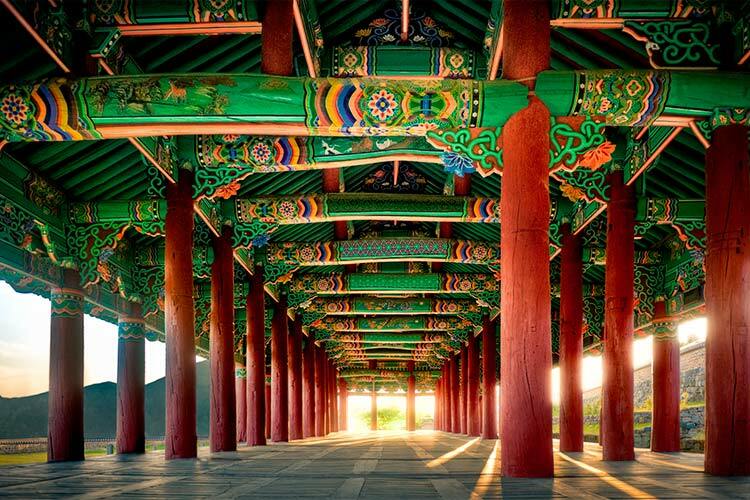 1) Explore the ancient palaces of Seoul, Gyeongbok-gung and Changdeok-gung. Then, get a taste of modern Seoul in Myeongdong. This area is the centre of Seoul’s commercial life, making it one of the best shopping outlets in the world. Then, head to central Namsan Park, a preserved island park located directly in the middle of the city. 2) Gangneung is a fairly isolated coastal city notable for retaining a distinct cultural identity. Be sure to see the Ojukheon Museum, one of the oldest wooden buildings in South Korea and the birthplace of famous scholar Yuglok. The city also features the Gangneunghyanggyo Confucian school, Korea’s largest and oldest school devoted to Confucianism. 3) Travelers often overlook Gyeongju, which is a shame. This pleasant village features literally hundreds of sites of historic importance, like the Bulguksa Temple and Seokguram Grotto. The town is also close to Korea’s only cave temple, Golgulsa Temple. The city also provides access to the mountainous Gyeongju National Park, a perfect location for hiking. 4) One of Daegu’s most popular sites is Palgongsan, which is just 12 miles from downtown. 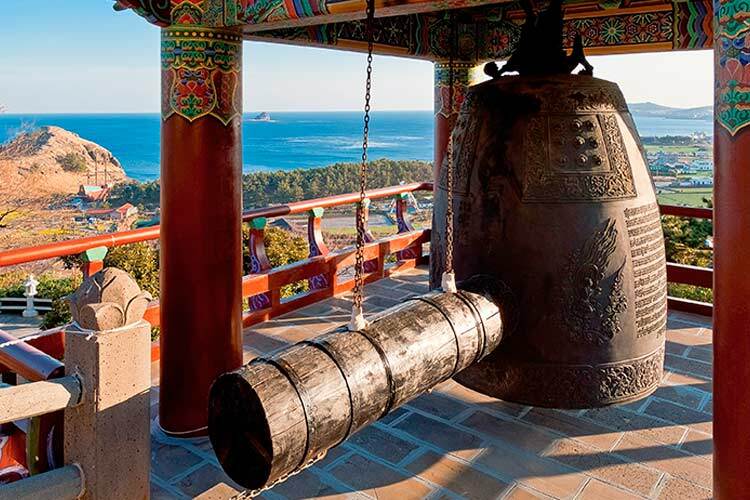 There are several hiking trails on Palgongsan that take visitors through watery cliffs and numerous Buddhist relics. 5) Coastal Busan is South Korea’s second largest city. 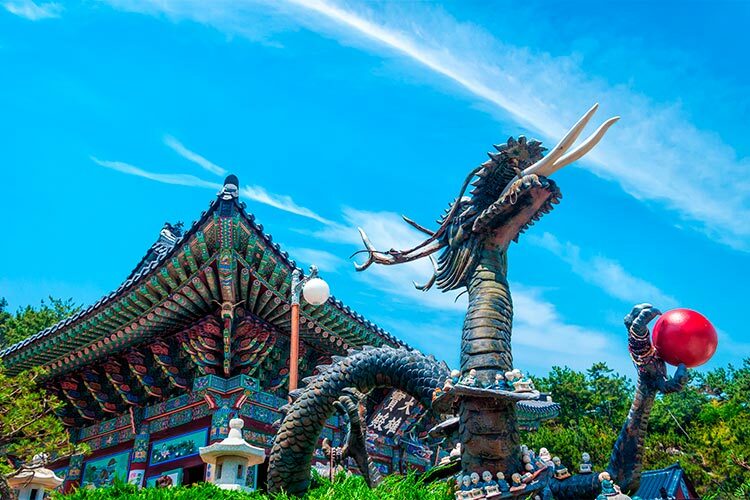 Travelers in Busan ought to visit Beomeosa Temple, which is considered one of South Korea’s best temples. Another famous site in Busan is Gamcheon Cutural Village. This colourful area was once the home of Korea’s poor and refugees, who built very bright and rectangular homes into the hillside. 6) Gwangju is most remarkable for its youthful attitude. Everywhere you turn, there are artists, thinkers and activists. The aptly named Art Street is a great place to experience this creative environment. Furthermore, the 5.18 Memorial Park pays tribute to the victims of the infamous Gwangju Massacre of 1980, which helped define the city’s modern culture. 7) While on Jeju Island, you’ll rightfully want to spend much of your time lounging on the beaches near the resorts. However, the island does have some attractions worth seeing. For instance, the Manjanggul Lava-tube is quite impressive to behold. The perfectly circular peninsula Seongsan Ilchubong is also an intriguing destination.